by Juan C. Carvajal B. A great thing about Cyclephilly is that it was in part developed by a non-programmer, Corey Acri. He came in contact with Code for America with little coding skills but with a good understanding about the institutions and instruments needed to push a project like this. 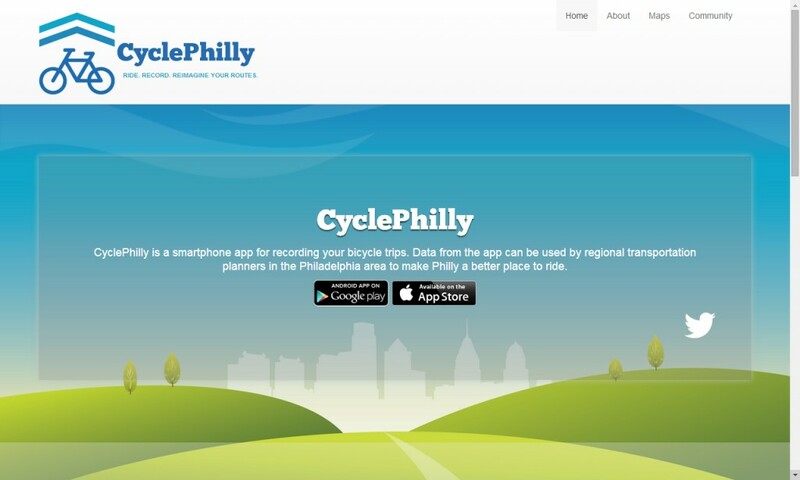 He and his team colleagues, Lloyd Emelle and Kathrin Killebrew, worked together with the Delaware Valley Regional Planning Commission and Bicycle Coalition of Philadelphia to design the app. Since the launch of Cyclephilly in May it has managed to attract about 150 users, which in turn have recorded more than 5000 trips. The numbers speak by themselves. The team designed Cyclephilly to be user-friendly. The users just need to press “Start” at the beginning of their trip and “Finish” at the end. After this they can indicate the purpose of their trip. The path of their ride is then recorded and uploaded to the online map. The app also lets the users take pictures of problematic points and make suggestions for improvements. The data delivered by the app will be used by the Delaware Valley Regional Planning Commission to further develop the bicycle paths of Philadelphia, based on the actual needs and use patterns of the cyclists. 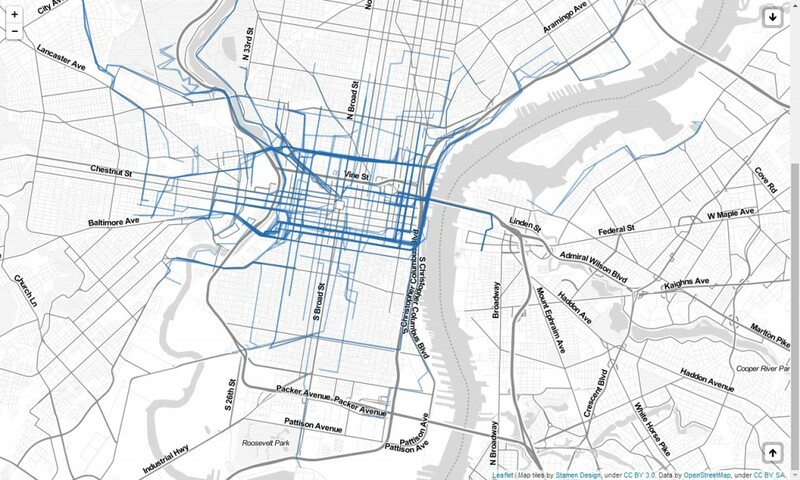 The database of Cyclephilly represents a great improvement over the traditional census data or the traffic counters commonly used to plan new bicycle paths. The unique possibility of seeing the actual route used by the people and its purpose, is an incredibly useful tool for planners. It lets them identify, for example, zones where the demand for bicycle paths has not been satisfied. Yet another great thing about Cyclephilly is that it is an open source project. Any bicycle association in any city can start a similar project at a very low-cost. The code for the Iphone and Android apps as well as that of the Online map is available at Github. Which would be the next city to start improving the bicycle paths using real world user generated data?